Have you lost safe combination or you are experiencing safe malfunction? Bart’s Lock specializes in “Safes” openings, service, and maintenance. Bart’s Lock and Safe Service in San Jose can change the combination on both Commercial and Residential Safes. During the combination changing process the Locksmith will do an inspection of the Lock, door and bolt works and recommend any preventative maintenance necessary to prevent a costly lockout. Bart’s Lock and Safe Service will provide a Safe and / or Vault Service report to the Owner, Manager or person in charge. This Report is a tool the Owner/Manager / Security Department and Locksmith can use to maintain security for the safe and prevent lockouts. Bart’s lock and Safe Mobile Locksmith Service in San Jose can solve your lost combination difficulties. There are several techniques that can be used to open the Safe. The technician will start with a non-destructive technique such as combination retrieval or manipulation and progress through other techniques concluding with drilling a hole in a specific place to open the safe. Bart’s Lock and Safe Service will provide a Safe and / or Vault Opening report to the Owner, Manager or person in charge. This Report is a tool the Owner/Manager / Security Department can use to maintain security for the safe and prevent lockouts. Bart’s Lock and Safe Service in San Jose can diagnose a lock malfunction causing a lockout. The mobile Locksmith will use various techniques to determine the cause of the lockout. The least destructive opening method shall be used to open the safe. Bart’s Lock and Safe Service will provide a Safe and / or Vault Opening report to the Owner, Manager or person in charge. This Report is a tool the Owner/Manager / Security Department and Locksmith can use to maintain security for the safe and prevent lockouts. 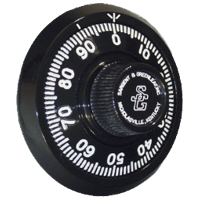 If your safe lock dial is stiff and hard to turn or if you must dial the combination multiple times to open the safe or is the safe door hard to close. Any of these symptoms indicate the safe needs servicing. 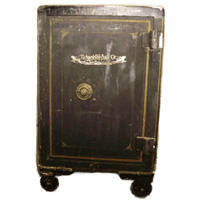 Bart’s Lock and Safe Service in San Jose can provide mobile service and repair most Antique, Home and Commercial Safes. 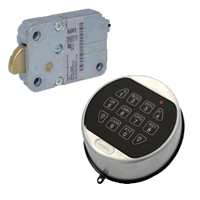 Don’t wait for a lockout to occur any change in the normal operation of the safe may indicate a potential malfunction. Bart’s Lock and Safe Service will provide a Safe and / or Vault Service report to the Owner, Manager or person in charge. This Report is a tool the Owner/Manager / Security Department and Locksmith can use to maintain security for the safe and prevent lockouts. 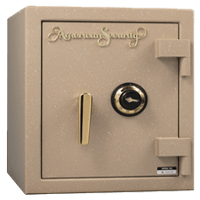 Retrofitting your safe with a new digital lock will eliminate the need for a service call from a Locksmith in San Jose, CA to change the combination and will make it fast and easy to gain entry into the safe. 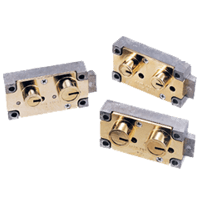 Bart’s Lock and Safe Service in San Jose Stocks many Safe locks from the major manufactures for faster service on both Commercial and Residential Safes. Amsec, LaGard, Sargent & Greenleaf, Kaba/Mas Securam, NL. 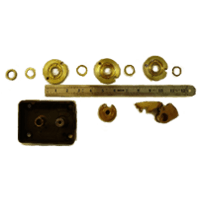 Safe Deposit Type locks are used for securing valuables in many commercial establishments. Such as in Hotels, Banks, Hospitals and in retail stores for dual custody access to the receipts and the inner compartment on some Antique Safes. Bart’s Lock and Safe Service in San Jose, CA is available to perform Safe Deposit forced entry, Key Origination, Key Duplication, Guard key Match work, Lock Rotation, Safe Deposit Lock Repair, Safe Deposit Door repair and Resurfacing. For Banks, Hotels, Hospitals, Retail Stores, Sherriff Department Search warrants and inner compartments of many safes.